A cold wave caused by a mass of air at record-low temperatures gripped Hokkaido on Friday, causing traffic disruption across the island. As temperatures plunged below minus 20 degrees Celsius in some parts of the region the Meteorological Agency also predicted snow on Saturday for eastern Japan, with central Tokyo expected to see 5 to 10 centimeters. 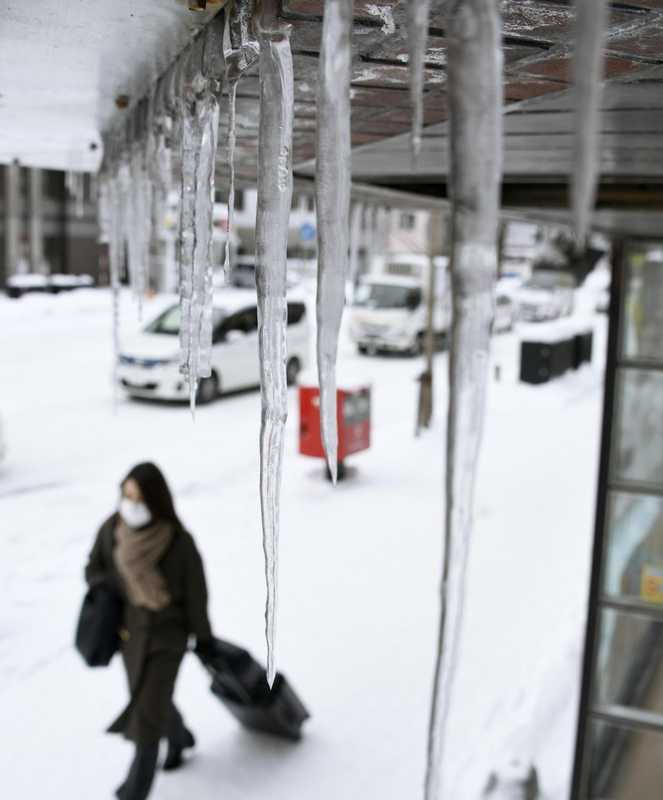 The agency said a cold air mass with a temperature of minus 24.4, the lowest seen since it began compiling such data in 1957, was hovering about 1,500 meters above Sapporo, which saw the mercury drop to minus 12.5 in the morning. The annual Sapporo Snow Festival, one of Japan’s most celebrated winter events, has been underway since Monday, with visitors having to protect themselves against the cold. 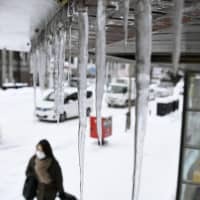 The temperature in the town of Oketo, nearly 200 kilometers east of Sapporo, sank to minus 22.7 early Friday, while in the town of Rikubetsu, which is adjacent to Oketo, temperatures hit minus 20.3, prompting the Meteorological Agency to issue warnings about outdoor activities, freezing water pipes and hazards to crops. Hokkaido Railway Co. said it had suspended 74 train services as of 12:45 p.m. Friday after experiencing problems with frozen brakes and switching points. A bus connecting Sapporo and Wakkanai on Hokkaido’s northern tip slid off the road shortly after midnight due to an apparent white-out. The bus was carrying 25 passengers and one driver, the police said. No injuries were reported.